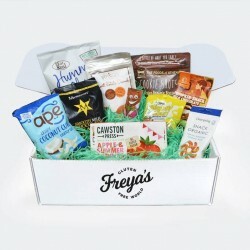 Carefully curated Gluten Free hamper boxes and subscripton boxes for adults and children. 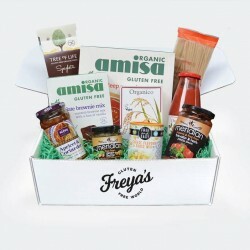 Carleen was inspired to create Freyas Gluten Free World after her niece, Freya, was diagnosed with coeliac disease. It was overwhelming for the family to adapt, so Carleen came up with the idea to curate gluten free products that are suitable for children, to make life easier for families and save them having to hoof around the shops. But then it got really exciting! What if she could create something that could make coeliac children feel special, but in a good way? 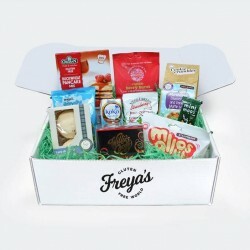 Their boxes of gluten free goodies are perfect for children and adults alike, but are particularly aimed at helping children to feel special instead of different. 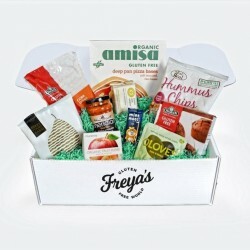 The boxes are packaged beautifully and come with a personalised note to the recipient, making them ideal for gifting.